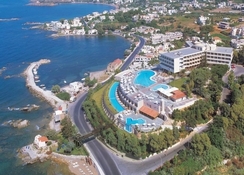 The 5-star Panorama Hotel is an all-inclusive, family friendly hotel located by the bay of Chania and offers panoramic views of the Bay and the historic islet of Thodorou. Featuring a swimming pool, pool bar and restaurant along with health and fitness facilities, this hotel promises a comfortable stay amidst modern amenities and warm hospitality in a strategic location. 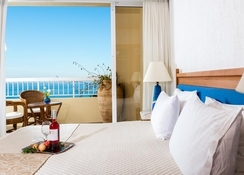 Tastefully appointed guestrooms, refurbished in 2000 offering gorgeous sea or mountain views from the attached balcony come with air conditioning and are equipped with contemporary furnishing. There are lovely beaches like Falasarna, Elafonisi, Mpalos among others that you can explore. 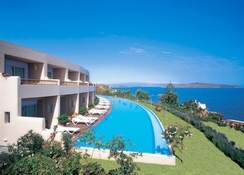 This luxurious beach hotel is just 6km from Chania and 300m from a lovely sand and pebble beach. Known for its beautiful venetian harbour in the heart of the old town, Chania’s narrow streets are ideal for shopping or taking romantic walks. 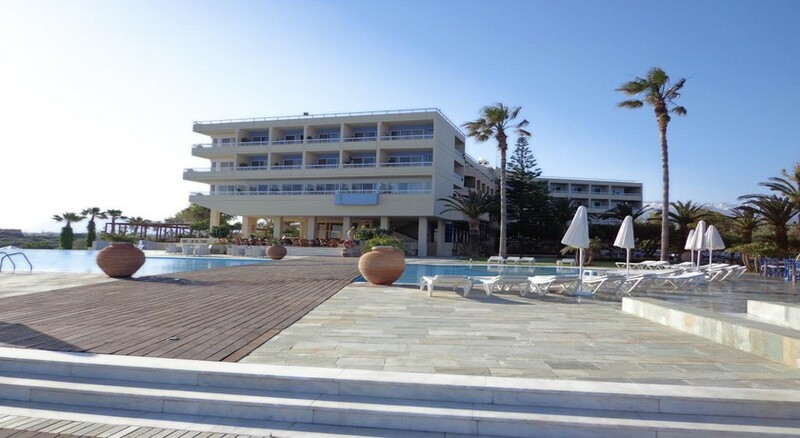 The hotel is about 24.5km from the nearest airfield, Chania International Airport. As many as 199 non-smoking rooms and suites at the Panorama Hotel invite guests to have a comfortable stay. The modern, contemporary rooms echo centuries of culture and come in types such as: mountain view, side sea view, superior, executive suite, garden deluxe, executive superior, executive deluxe with pool, executive suite. Rooms come with satellite TV, telephone, blackout drapes, en-suite bathrooms and balcony. Panorama Hotel provides excellent dining facilities with a clutch of fine-dining restaurants and bars onsite. While Symposium is the venue for breakfast and dinner, the Almira Pool Bar, Panoramic Bar and Nissi Beach Bar is where guests can relax with a cocktail in hand. Panorama Hotel has four swimming pools and kids’ pool and terrace besides easy access to the beach. There is a fully equipped gym for those who wish to stay active. There is a lovely spa with steam room offering massages and therapies.